Tami’s interactions with flowers & design began at an early age in Idaho where she watched her mother tending their flower gardens on the family farm. Tami even recalls getting scolded when she cut her mother’s flowers to make arrangements out of them. 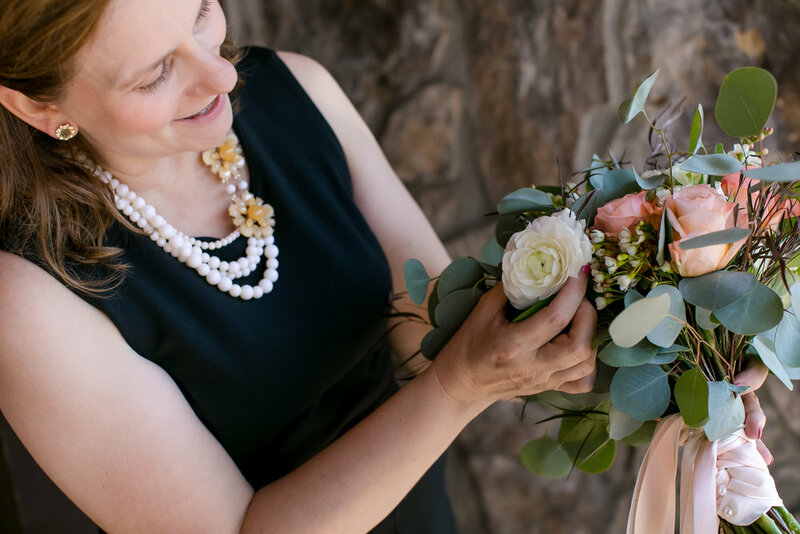 Her business really got started in 2003, when Tami decided she would create the flowers for her own wedding. Never being one for doing things halfway, she took professional floral design courses and fell head-over-heels in love with everything about the floral business. Tami is much more than just a florist. She treats every wedding as her own! She limits the number of clients she takes on per week, in order to provide individual attention to each couple's weddings. Couples love her calm demeanor, attention to detail, creative ideas and her expertise to pick the perfect flowers and decor for their weddings.